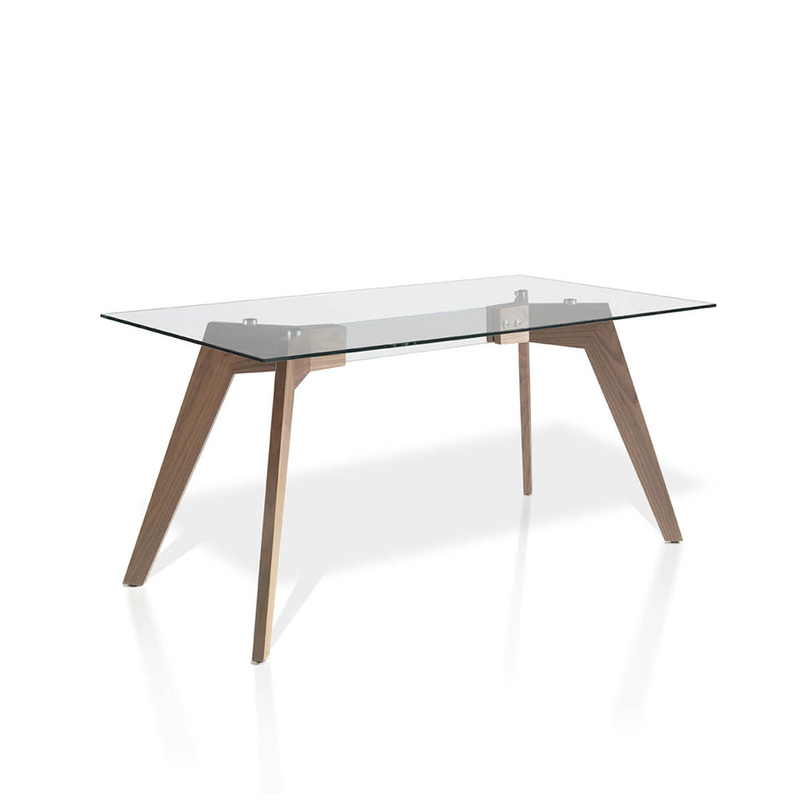 Rectangular tempered glass top dining table by Angelo. Walnut base. 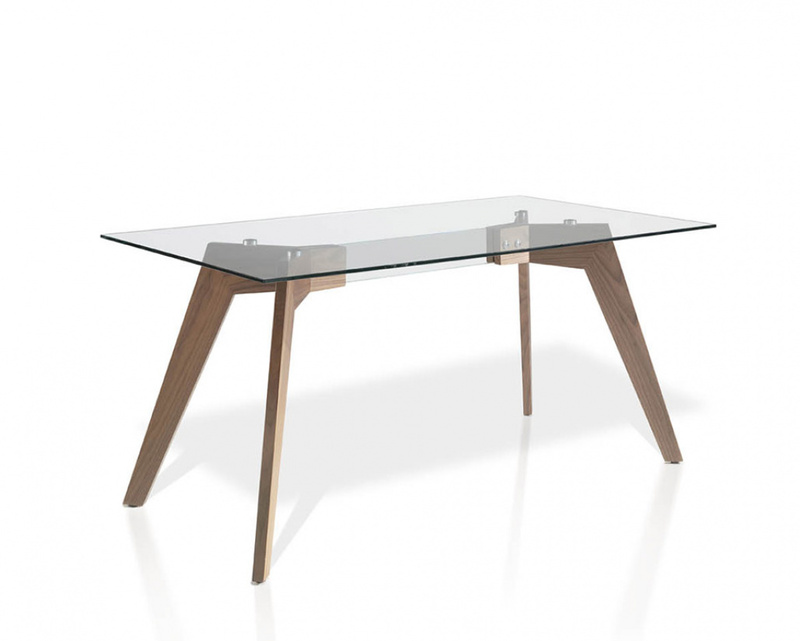 Overall a functional dining table with clear design allowing you see the beautiful intricacies of this table. This design is also available in an oval glass tempered top. Please contact us for more details.